Grey was the theme this weekend. It isn't as gloomy as it sounds ... I happen to love grey. I tend to wear grey clothes, which I know is very drab, but what can I say, I like being comfortable. And I love grey days because of the cozy factor. I spent a couple hours Saturday afternoon winding 650 yards of dark grey Alpaca yarn. My intent was to start knitting a new lace shawl, but after all that winding I needed a nap ... and then the day got away from me. I woke up this morning to a thick blanket of fog. This was the view out my bedroom window ... it was quite beautiful. 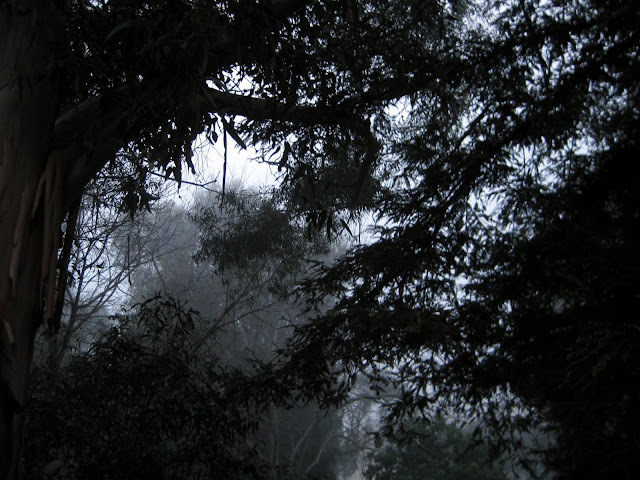 It reminded me of the heavy tule fog we experienced in Central California when I was a kid. My mom would wake me up with, "It's froggy out there." It was very froggy today. This is a big week. We have loooooong meetings scheduled almost every day at work, as well as team building events and communication workshops, culminating in a formal party Friday night with dinner and dancing. I'm a very quiet, solitary kind of person, so I'm not looking forward to the week, even though I know it will all be fine. Today I wanted to do something that makes me happy to help carry me through the week, so I headed out to (my) wildlife refuge. It was grey there, too, which of course is exactly the way I like it. The refuge looks great all eerie and mysterious. The highlight of the day was seeing tule elk for the first time. 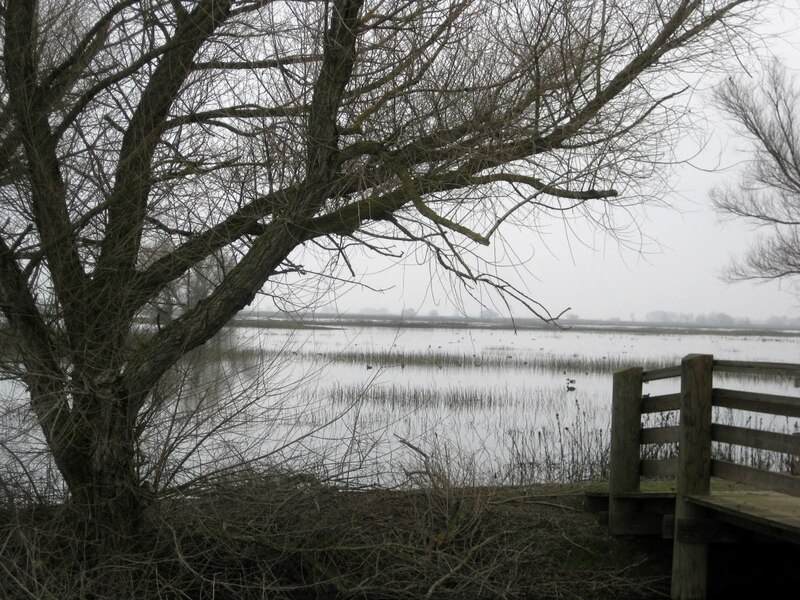 (Both the fog and the elk are named after the tule grass that grows in the central valley.) They don't fit in with the grey theme, but they're so beautiful I had to share the photos with you. The color of the elk against the grass is so gorgeous and primitive; it reminds me of these dioramas from the California Academy of Sciences. 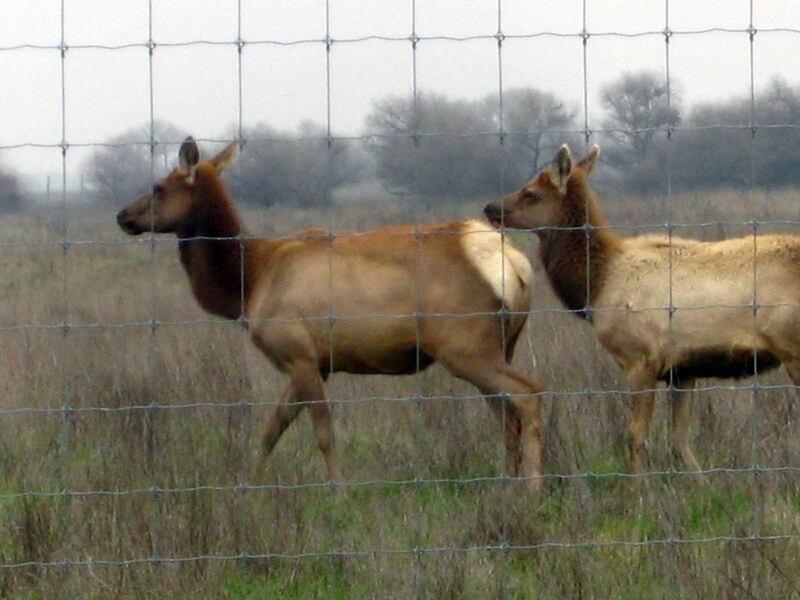 The tule elk are found only in California and were almost driven to extinction at one point. The refuge has played a major role in bringing them back by protecting a small herd in a very large enclosure and periodically allowing one or two to join a herd that roams freely throughout the state. 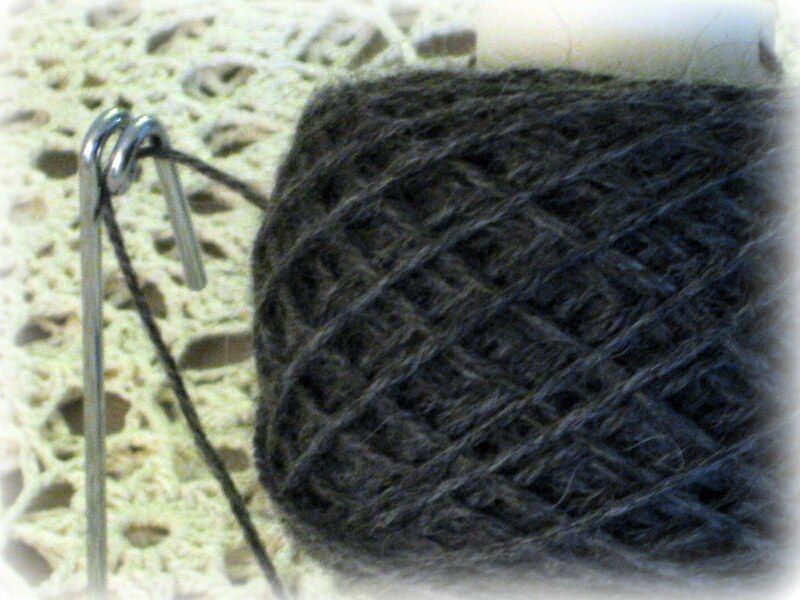 There's still time to enter my yarn giveaway ... it's open until Wednesday evening. Have a good week! Haunting photos - really lovely. And the elk must have been stunning to see. I like grey, too. Although we have a lot of grey skies right now in Cleveland and it can become depressing even for the most optimistic of folk. Love the pictures of the fog! Funny how it is just so beautiful to me! I always say this "foggy, woggy, doodle all day" when there is fog! Hope your week is not too painful! HUGS from Georgia! Beautiful pictures. I hope you found the peace you sought and your week isn't too stressful. Very interested in hearing about Lorna's talk. We are having a grey day here with lots of rain. Great for reading and napping. Have a wonderful Monday. I wear grey all the time! I'm wearing it right now. Your yarn is pretty! Love your pics and it really does make one happy to visit the wildlife. Good luck at work this week! How interesting about the Tule Elk! I've loved reading your post -- so calm and relaxing -- gray and beautiful. Good Luck with all the activities this week! We have had fog for the past few morning but it burns off by noon. Sounds like a very busy week. You will do fine and most likey have lots of fun. See you later today for dinner! Yipee. I also love gray and I also love blogs with great photos like yours! this is a most beautiful post. it is so lovely to be catching up with you again.